The Champion Heavy Duty Ball Locker provides heavy-duty, secure storage of all of your game balls. 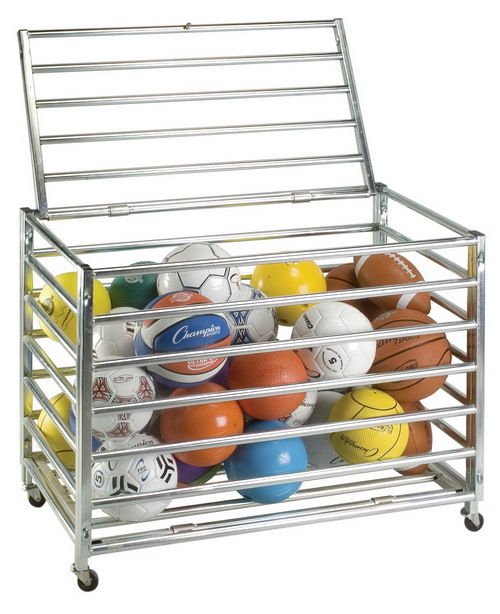 This sturdy cart is constructed of 1in galvanized steel tubing that is welded together. Each cart stores up to 30 balls and features a locking top for total security. The 4 wheels are hard rubber, non-marking casters to help you easily transport all of your equipment without having to worry about your gym floor. Top can be locked for total security and can hold up to 30 balls. Constructed on 1" galvanized steel tubing and is all welded together. Wheels are hard rubber non-marring casters.